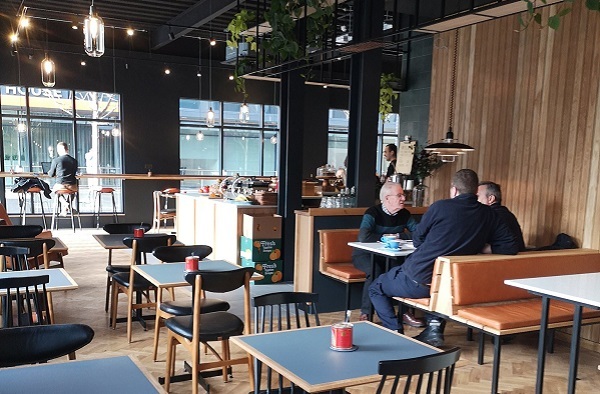 Big news for Bristol coffee shop brand Spicer+Cole this week, as they’ve opened a brand new café at Finzels Reach on East Tucker Street, BS1. The new Finzels Reach venue is the fourth in the city for the Spicer+Cole team, who also operate outlets on Queen Square in the city centre, Gloucester Road, and in Clifton Village. Their latest venture opened its doors for the first time on Wednesday, February 6th, promising great artisan coffee (from Extract Coffee and guest roasters) and loose-leaf tea (from Cardiff’s Waterloo Tea), as well as fresh, seasonal food made from scratch each day in their own kitchens. Welcome, all! To our new location at Finzels Reach! Good luck to the Spicer+Cole team! You can find out more about what they do via their website. And read our review of the Queen Square Avenue branch of Spicer+Cole here.